WebRTC is a feature that became popular in 2008 and soon the prominent browsers have adopted it as a default feature for their users. However, there are certain concerns regarding the privacy that might be compromised due to this and therefore users are questing ways to disable WebRTC. In this article, you will get some easy ways to disable WebRTc with greater insights about the technology. How to Test If Your Webrtc Enable or Disable? There are many ways to test if your Webrtc enables or disable in your browser but highly recommended to use webRTC leak test Tool to quickly check and disable WebRTC in your browser. 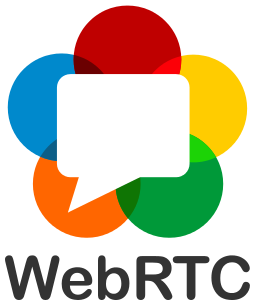 With the simplest of explanation, WebRTC offers real-time communication within the browser; therefore, it’s named as “Web Real-Time Communication (WebRTC)”. It basically allows the user to voice calls, video chats, and P2P file-sharing without any additional browser extension or plugin. WebRTC uses various plugin-free APIs that could be used in desktop as well as mobile browsers. This modern web browser technology is now been used by most of the popular browsers. However, such enhanced performance was only possible with external plug-ins when WebRTC wasn’t there. Suppose you point your browser to a URL and then get any other person to point his browser to that URL. Magically, you both would be able to see each other while being on different browsers and this is just because of WebRTC. Here we will tell you the working of web browsers in the simplest possible way. Thinking of a web application would generate two elements, client, and server. The client which is a browser would connect to the server and demands HTTP requests. On the other hand, the server is bound to deliver responses. We have been using a similar technology which is WebSockets. There working is like a post office in which the browser transfers a message to the server and from there it is transferred to the designated person. Now if a browser has a WebRTC feature in it, the messages could be delivered directly from one browser to the other without a server in between. However, such linkage is developed after a short process of signaling through which the browsers locate each other. This is why it is becoming popular as an efficient peer-to-peer technology. How Could WebRTC Be Vulnerable? While this is an innovation to the browser efficiency, it could also be a threat to a user’s privacy even if he is behind a secure element such as VPN. However, many browsers have it as a default for which you need to disable WebRTC. The security experts and researchers have discovered the critical flaw in WebRTC that enable a website owner to view the real IP address of the user. Such privacy lack was able to insert vulnerability into the working of Windows operating system; otherwise, the users of Linux and Mac OS X are safe from such privacy threat and it’s not necessary for them to disable WebRTC from Firefox and Chrome browser. What makes the WebRTC vulnerable? WebRTC works in a manner that allows the request to STUN (Session Traversal Utilities for NAT) servers which delivers the public IP address or “hidden” IP in case of VPN as well as sends the local IP address of the system, a user is using. To keep such vulnerability away, the best way is to disable WebRTC in your Firefox and Chrome browsers. As I have mentioned before, an intelligent solution is to disable WebRTC for which you have to follow some steps that are explained below. Other than this, you could also use browser add-ons and extensions if you could not disable WebRTC for some reasons. Use a genuine VPN which is safe enough to protect you from WebRTC leaks. WebRTC is considered to be a flaw in a browser instead of a VPN or your networking systems. Therefore, some alterations to the browser’s setting could help you to disable WebRTC and you can then browse without the hassles and concerns of being exposed. First, go to the URL bar at the homepage and type “About:config” and hit enter. Then you will be presented with a warning message and there you are required to press “I accept the risk” option shown at the bottom. Finally, you are up to a Firefox browser which is without the WebRTC feature enabled in it. You could not disable WebRTC in chrome browser on your desktop through changing the privacy settings. Therefore you are just left with the option to download a Chrome extension. If you are a user of Google Chrome or a Chromium-based browser than WebRTC Leak Prevent could be an intelligent choice. On your Android device, type the URL chrome://flags/#disable-webrtc on the Chrome application. There is an option of “WebRTC STUN origin header” from the appeared list and then disable it. As an additional safety measure, you could also disable the WebRTC Hardware Video Encoding/Decoding option. Most probably a user would remain concerned and confused about the WebRTC leak even if he has disabled WebRTC in his/her browser. However, if your browser is affected than you would be shown with the results displaying your real IP address. Thanks for sharing this article, because I don’t have any idea about disabling in different browser.